You’ve probably seen the idealized Instagram image of a new relationship—both partners are glued together, unaware of their surroundings, neglectful of their friends, talking only about each other’s amazing qualities. That’s the stereotype of too much attachment to each other, and too little independence. On the other hand, the cliché of a long-term relationship is one that’s totally detached, sitting together in a restaurant without speaking, sneaking out at night to laugh with friends and then coming home to glower at one another. That’s the stereotype of too much independence, too much distance. They both sound awful in their own way, right? What makes a relationship ‘healthy’? So you might be surprised to know that healthy relationships contain a little of both. At times, we need to turn to each other and get a little sappy, a little needy. Then at other times, we need to be able to back off, get our needs taken care of somewhere else. The magical balance of those two states creates a partnership that feels connected and intimate, but also well-adjusted and practical. We all know that there isn’t one person who can be everything to us—despite how we felt in those early days of romance. Because of this, we need to be able to make ourselves feel secure and happy, without expecting a partner to provide us with those inner strengths. When I started working with couples, I pressed them more toward independence. When they said, “I turned to you and you weren’t there,” I countered with wondering how they could turn to themselves more. With more experience, however, I realized that wasn’t enough. Most couples continue to come into therapy asking “Why do I feel like my partner doesn’t have my back?” Primary relationships are supposed to be our safe harbor, the place we turn to for peace and support and a foundation for the pressures of life. And we have a right to ask for our home to be our emotional haven. It makes perfect sense to be needy. So now I work more with couples on moving back and forth between turning toward each other and turning away. And we also work on being okay with times when we’re scared, and fail to get the equilibrium right. Maybe our partner cheated, lied, doesn’t listen, or seems to prioritize other activities over our time together. When a rupture happens and we don’t feel safe and secure, we tend to get either clingy or distant. Clinginess looks like nagging, repeatedly asking for more time together, feeling hurt often and easily, getting jealous. Distance is marked by shutting down, sometimes refusing to talk, going out more and more often, having an affair, feeling hopeless and helpless. But underneath any of those actions is a feeling of isolation and despair. Ultimately, when the one place we turn to for peace and love feels precarious, it’s traumatic. Marriage counseling these days tends to believe that the antidote to feeling hurt by your partner is to connect with them—hard. 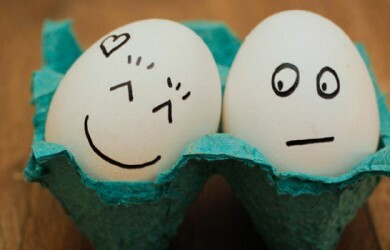 Couples are urged to soothe each other’s anger, stare into one another’s eyes, build more activities to feel intimate. And all of those things are important—as long as they’re countered with a robust, full life outside of the marriage. This allows each partner to know their worth. To know what they want from the other. To know they’re not staying out of fear or because they don’t think they can survive outside the marriage. But the truth is that it’s possible, maybe even simple, to figure out the balance. We need a little of this, a little of that, and plenty of movement back and forth between the two. It’s a constant dance. There’s always room for us to close down, or to move away from our mates in order to take better care of ourselves. As long as we remember that it’s right to come back, and it’s okay to need them. Vicki is a licensed Marriage and Family Therapist in Los Angeles who specializes in anxiety treatment, adolescent therapy, and couples counseling. She believes in strengthening relationships through understanding each other’s backgrounds, learning how to turn to each other as friends and partners, and adding more fun to your everyday lives together. Years of experience in private practice and as an individual and group therapy leader have inspired Vicki to work from the perspective that we all have a natural tendency toward health. She works with and writes about depression, anxiety, couples issues, parenting and adolescents to find solutions for problems that can sometimes feel insurmountable.